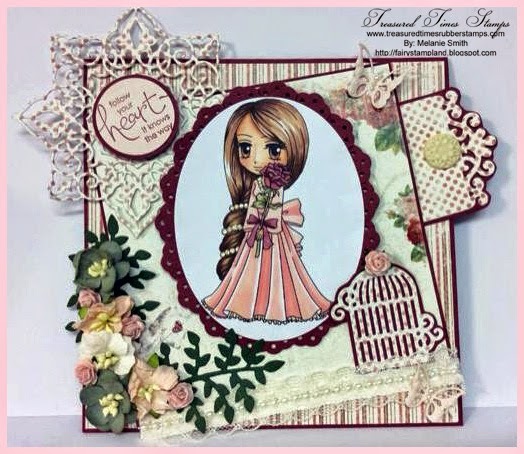 Treasured Times Blog Hop & Release Party....It's not too late! 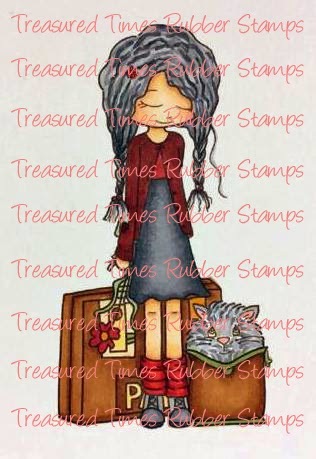 I have a second card to showcase for the Treasured Times Rubber Stamps Blog Hop & Release Party. 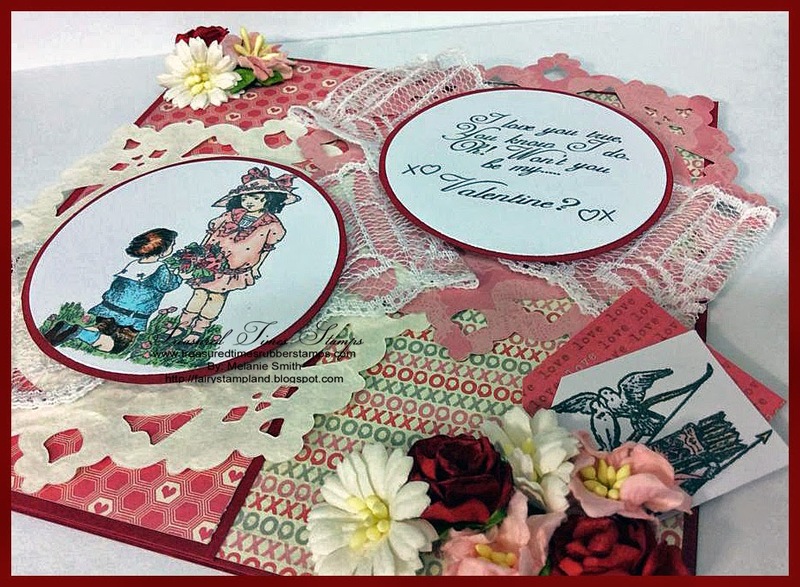 This card is made using the Vintage Valentine Stamp Set which is also one of the new release. 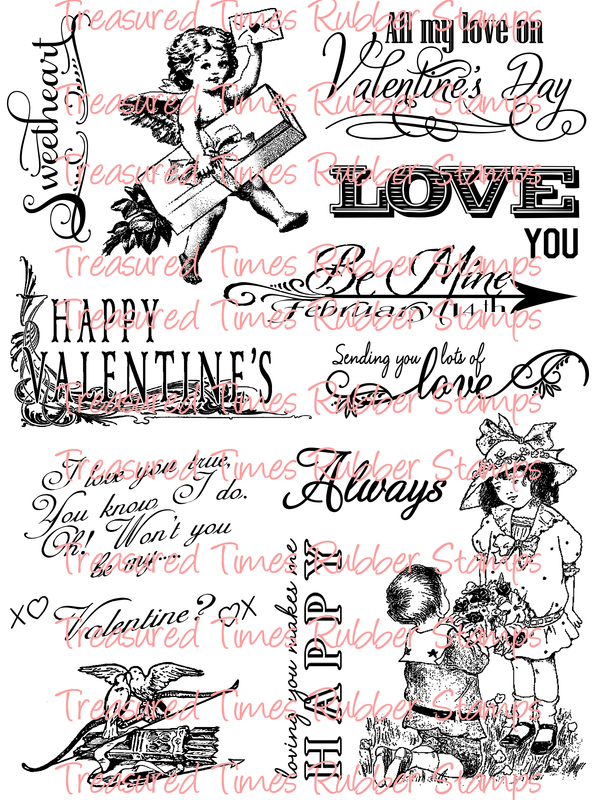 This set comes with both images and sentiments and is just precious for Valentine's Day. 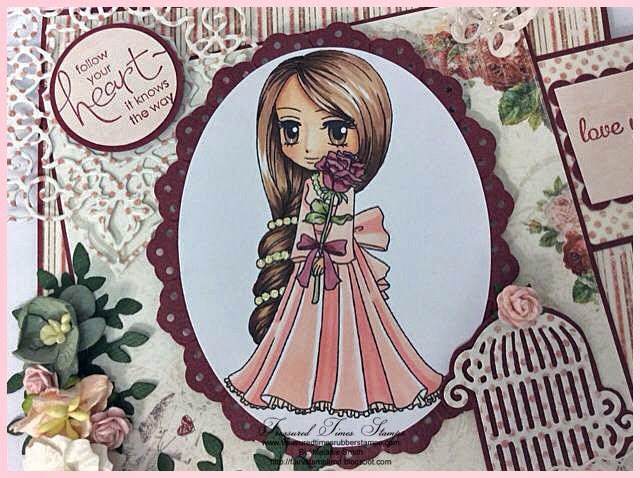 I have chosen to use two of the image stamps along with the perfect matching sentiment all from the newly released set, shown below. 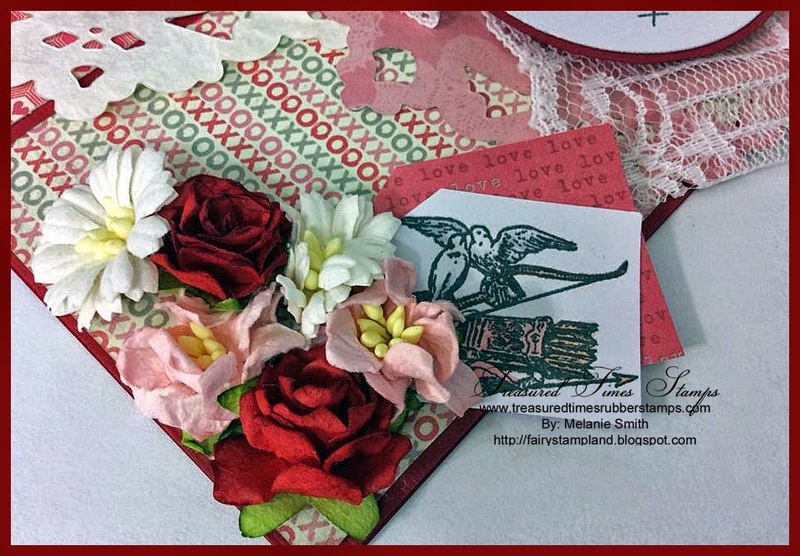 I've added die cuts, lace, and of course some amazing wild orchid crafts flowers. Here is a close up of my coloring. Make sure to scroll below to the previous post to play along with our amazing blog hop. Time is running out so happy hopping! We're so glad you could join us today! 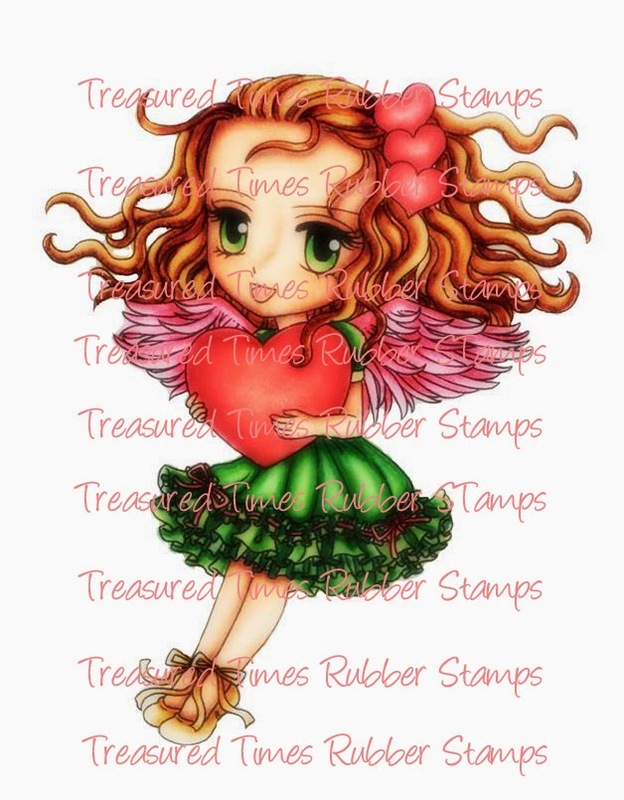 We have some very cute new stamps that we're releasing today. 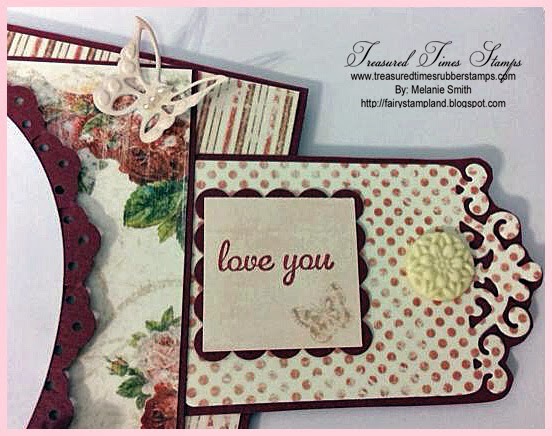 These are perfect for Valentines Day card making! We have 10 new stamps and 1 of those is a set. 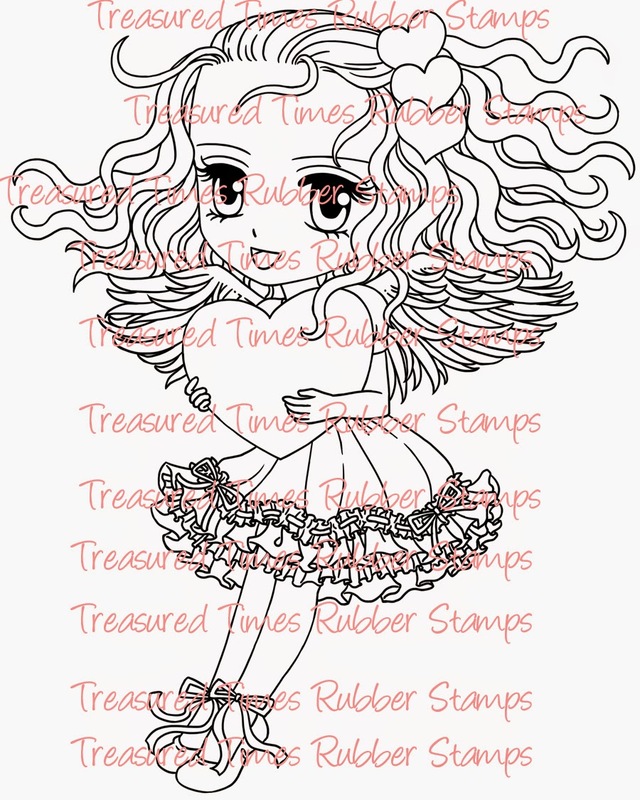 We're also going to be introducing a New illustrator and new product line! 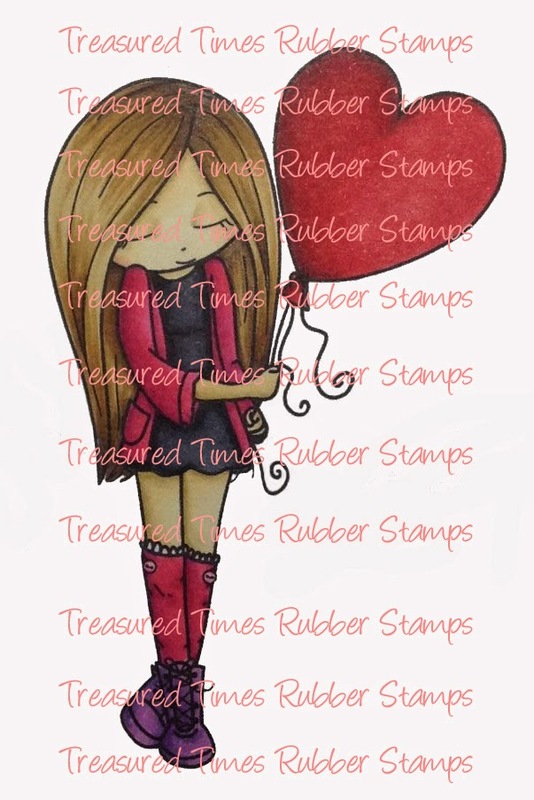 So lets get this party started by showing you our new line of Valentines Day stamps and our new product line! Suzie Sweethearts designed by Elisabeth Bell. Sweetheart by Mi Ran Jung. 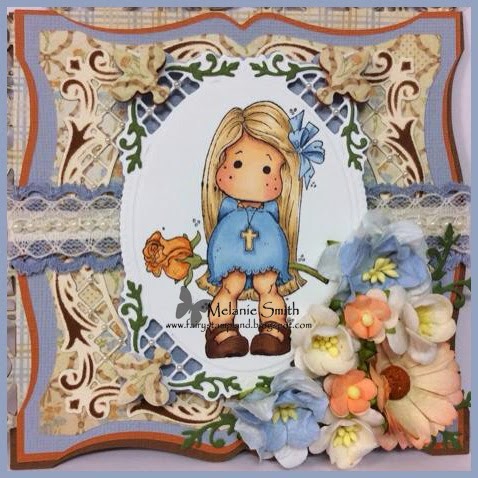 Colored by Tammy Louise Cunliffe. 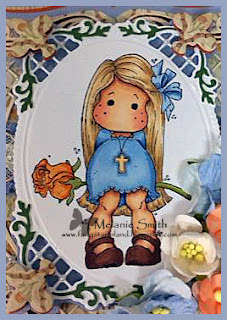 Rebecca & Pookie by Jehanne Silva Freimane. 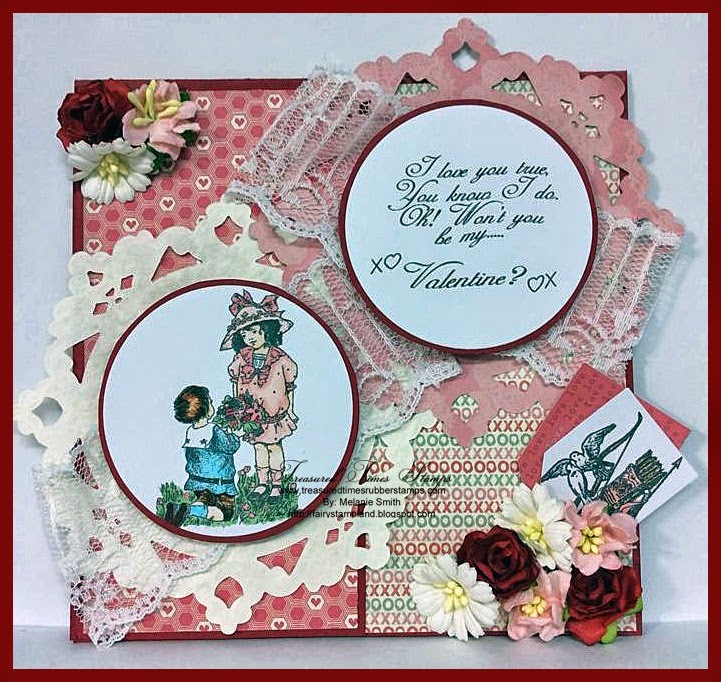 Vintage Valentines Stamp Set by Vickie Duffill. 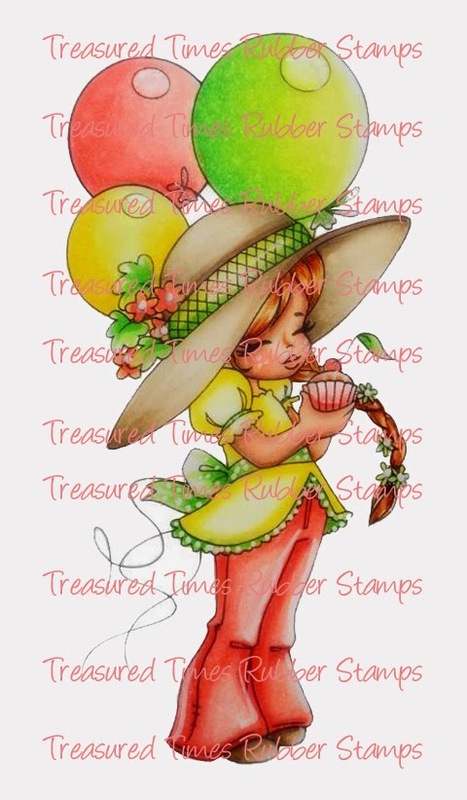 Cupcake Cassie by Elisabeth Bell. Catherine's Love Letter by Elisabeth Bell. 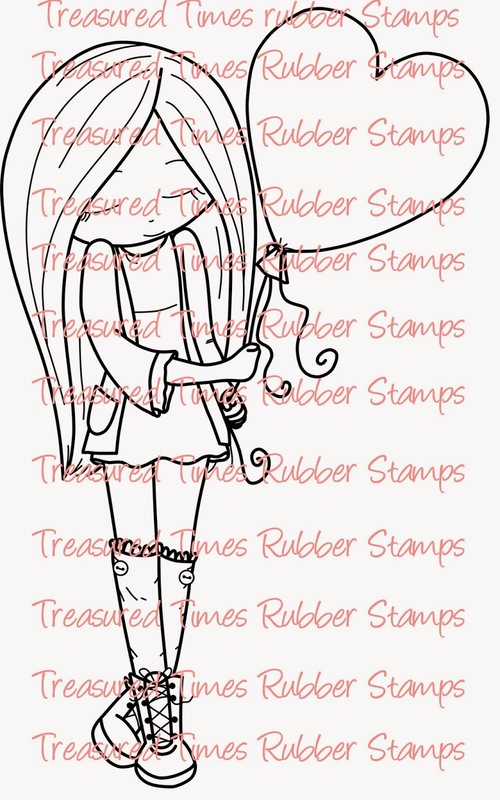 Emo With Heart Balloon by Jehanne Silva Freimane. 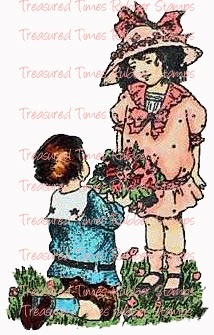 Rosie's Posie By Elisabeth Bell. 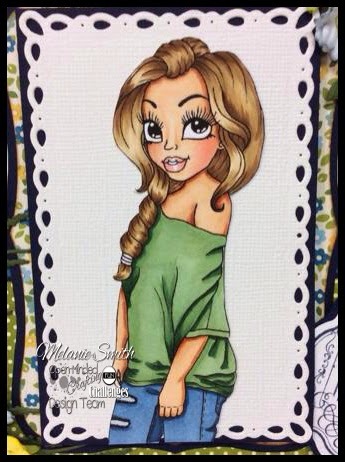 Colored by Kelli Arkell Hull. Sallie & Ellie By Elisabeth Bell. Valentina by Mi Ran Jung. I've used a lot of dies by Noor! in this project. And now I'd like to introduce our newest illustrator and new product line!!! 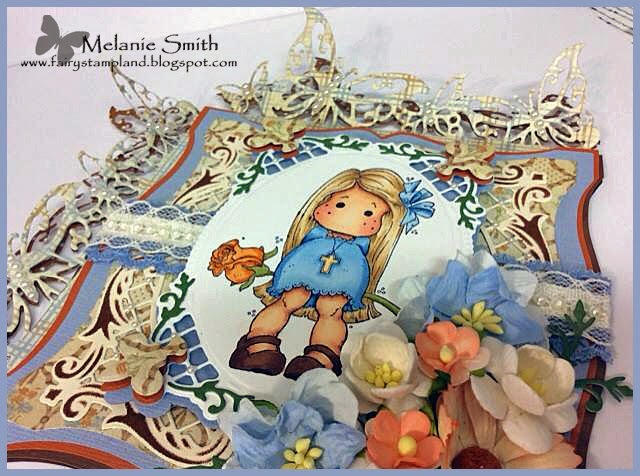 Michele Roos from MicheleRDesigns has joined our team!!! Welcome aboard Michele!!! We're so excited to be working with you! 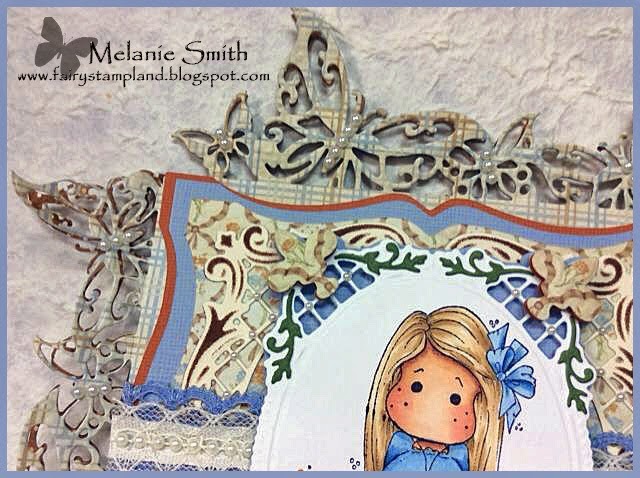 Michele designs patterned paper for card making and she's extremely talented! 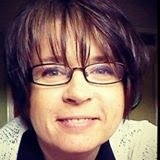 I've admired her work for some time, and some of our design team members have been using her digital papers for quit a while before we brought her on board with us. with my very understanding Hubby, 3 children (2 boys & 1 girl) 2 cats and a dog. I've been crafting for most of life - whether it's cross-stitching, knitting, crocheting but for the past 8 years now I've been card making. I always loved my papers especially the floral designs and I hated cutting into them (I know it's crazy) as I didn't want to run out of my favourite. So one day I started playing about on my computer with creating some designs and I liked how they turned out. And as the saying goes the rest is history. 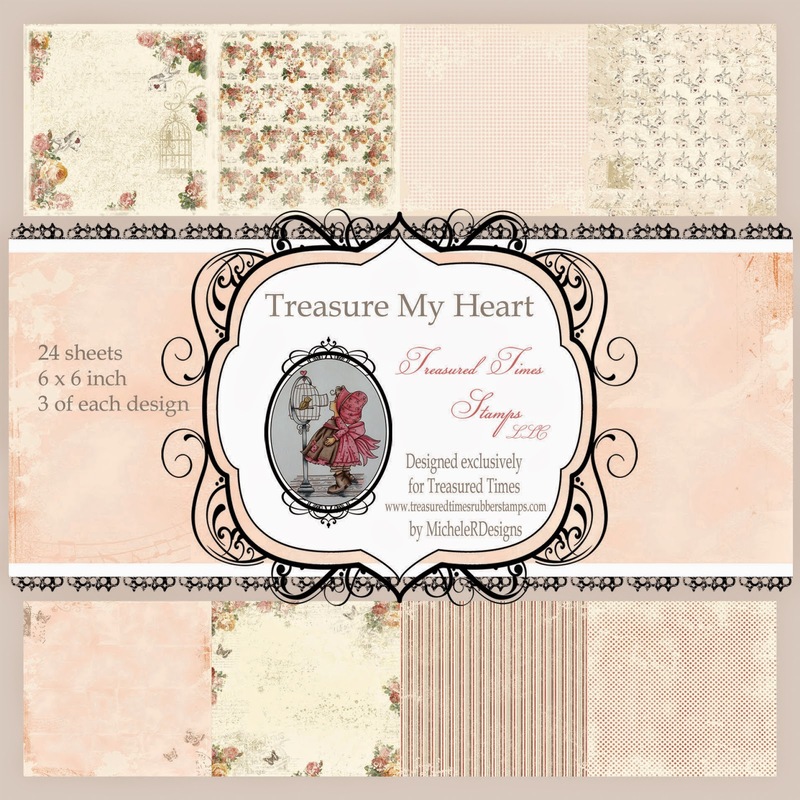 Michele has been hard at work designing exclusive 6 x 6 patterned paper packs just for our store Treasured Times. These Paper Packs contain 24 sheets of single sided paper. Each pack contains 8 different designs, 3 of each design. These come in a see through resealable cellophane bag with hang tab. Aren't these beautiful vintage papers! I love them! Thank you so much Michele for creating such beautiful paper for us!!! 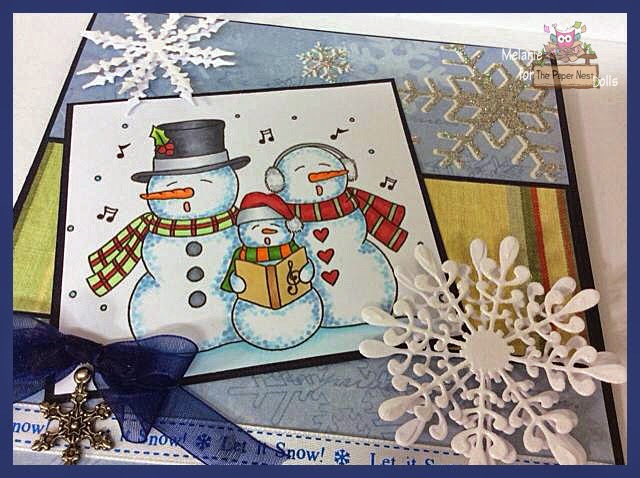 The designs have been printed on #65 Lb card stock, so very nice quality and perfect for card making! If you haven't seen Michele's work please visit her website. Now that you've seen all the new stamps and the new exclusive paper let's get the hop started!!! 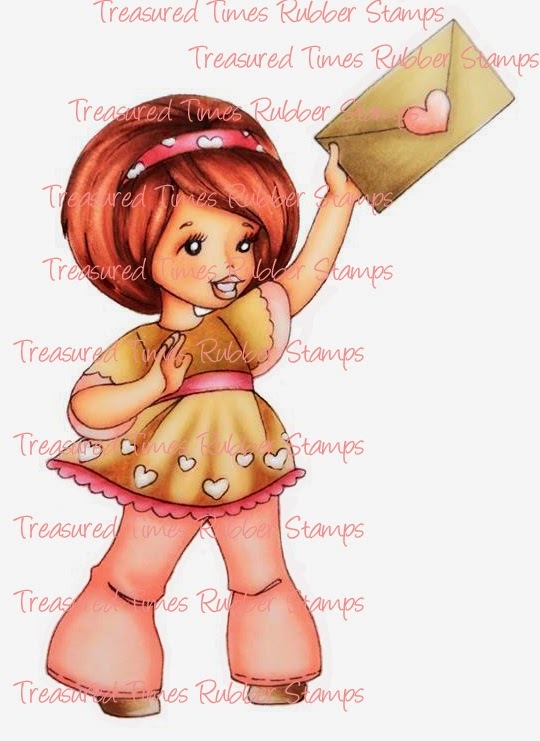 1 Lucky winner, will win all the stamps and paper pack shown here today. To be eligible to win the prizes please leave a comment on all the blogs including this one, and like our Facebook page here. 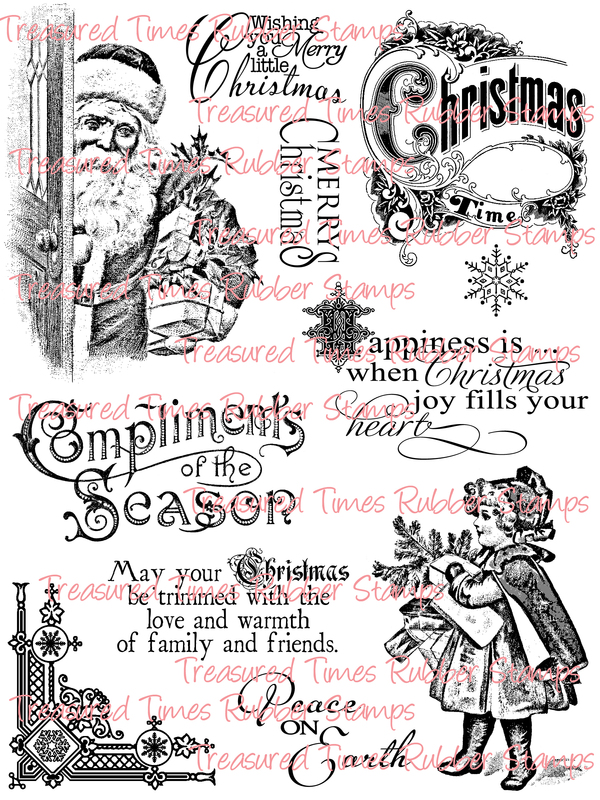 ALL of the stamps and the Paper Pack are on sale through December 22nd at 25% off. After that they will go to their regular price of $8.50 each. To receive your discount enter code: VALD25 in the voucher box at checkout. The design team has made some really special projects for this hop. If you started here please visit Keeley's blog next. Thank you all for coming and joining the hop! We hope that you had a lot of fun seeing all the new products and projects by the design team!!! I will be posting one more card tomorrow from this new product line so stay tuned and I hope you have fun hopping over the weekend. Today I have a unique card that I have made up using my Silhouette Cameo cutting machine. It was fun dusting it off and playing with it for a change. 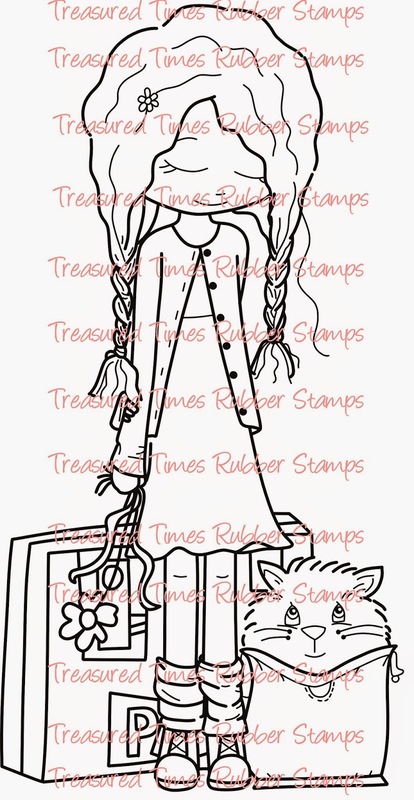 I am showcasing the adorable clear stamp by illustrator Erica Nicomedi, named "James and Sled". It is an adorable image and so perfect for winter time. 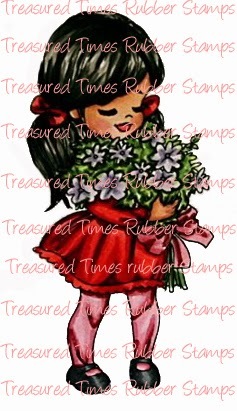 Treasured Times has a wonderful selection of both rubber and clear mount stamps by an amazing group of illustrators. Click HERE to visit the store. 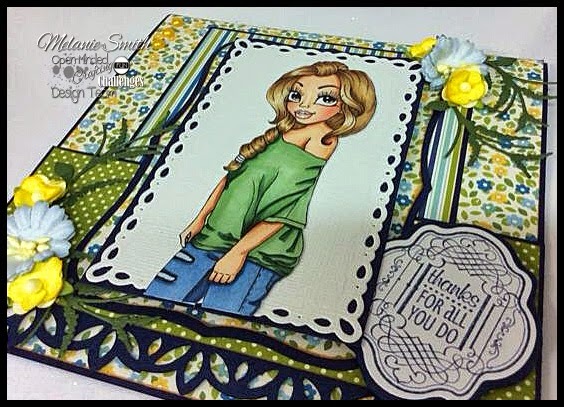 I have colored this image with Copic markers and have used a spellbinders die in the background along with some yellow rhinestones. Such a fun and unique card. I hope you all enjoyed stopping by. 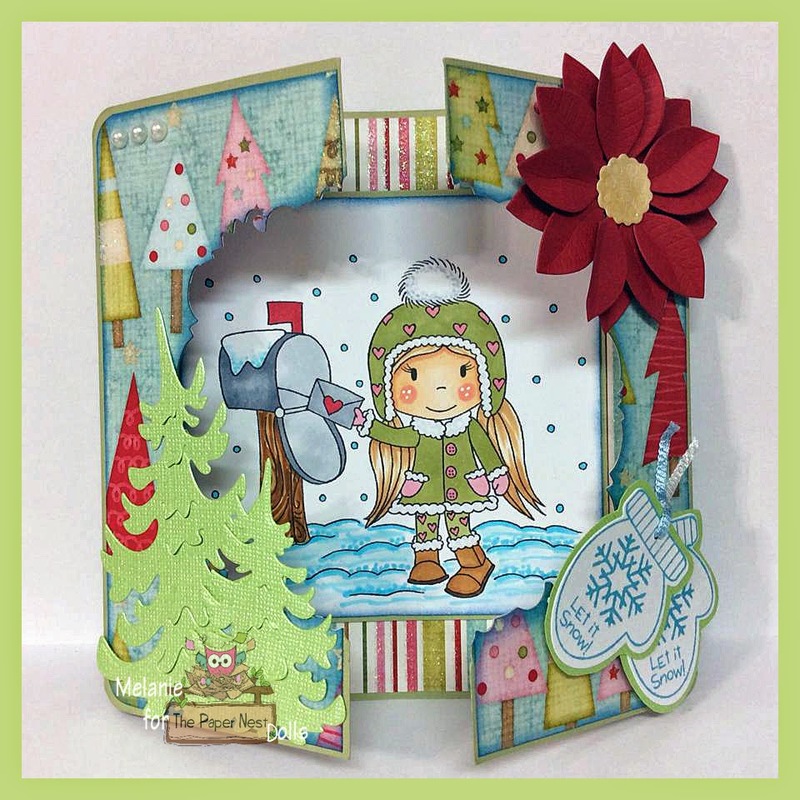 This week over at The Paper Nest Challenge Blog we are kicking off another "Anything Goes" challenge. Entering the challenge gives you a chance to win $20 in prizes so make sure to stop by and share your cards HERE. I had a lot of fun with this window style card. If anyone knows me they know I have a fetish for metal dies. I have used a die here to create the window of this card. 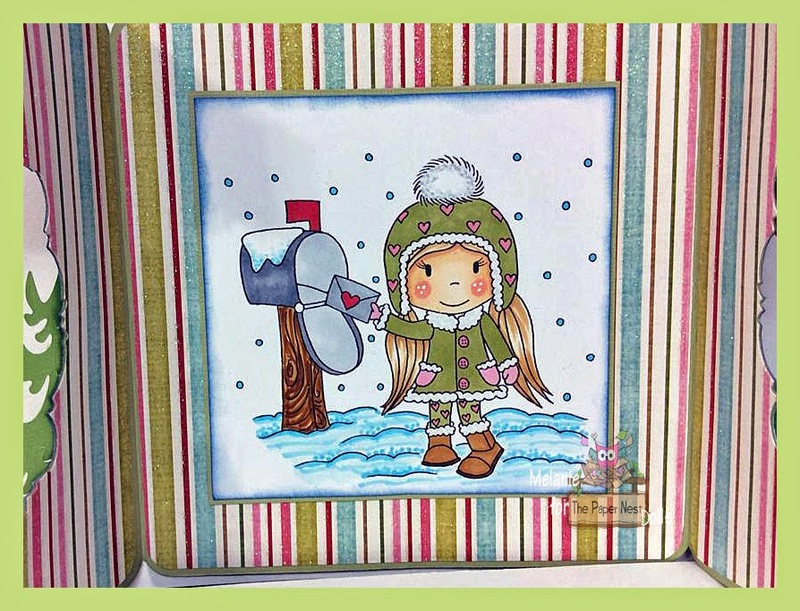 I place The "Winter Mail Ellie" image on the inside of the card so that it peeks out the window. 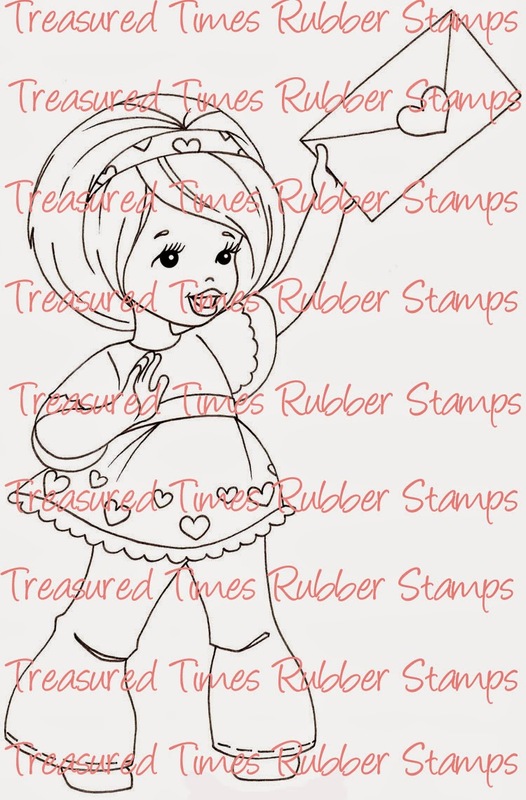 Make sure to stop by The Paper Nest Dolls online store to grab this adorable rubber stamp!!! 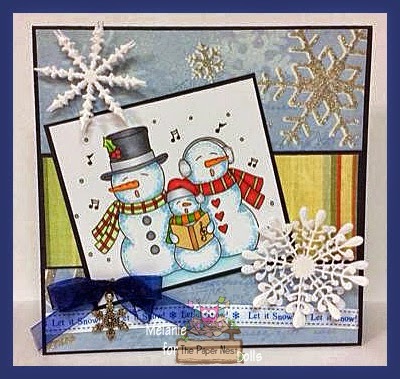 Inspiration for this card came from the tutorial page over at "From My Craft Room" Blog. Thank you Norma for the wonderful tutorial. Have an amazing crafty day, and if you enjoyed your stop here today I would love you to follow my blog. Thank You So Much! 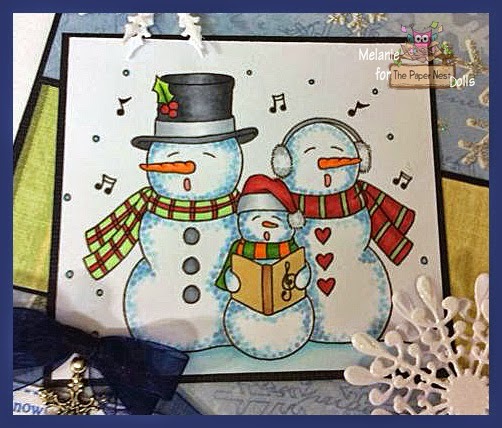 The weather has turned chilly here in the south so I decided to use this adorable stamp called "Caroling Snowmen" by the Paper Nest Dolls for this weeks Design Team Card. 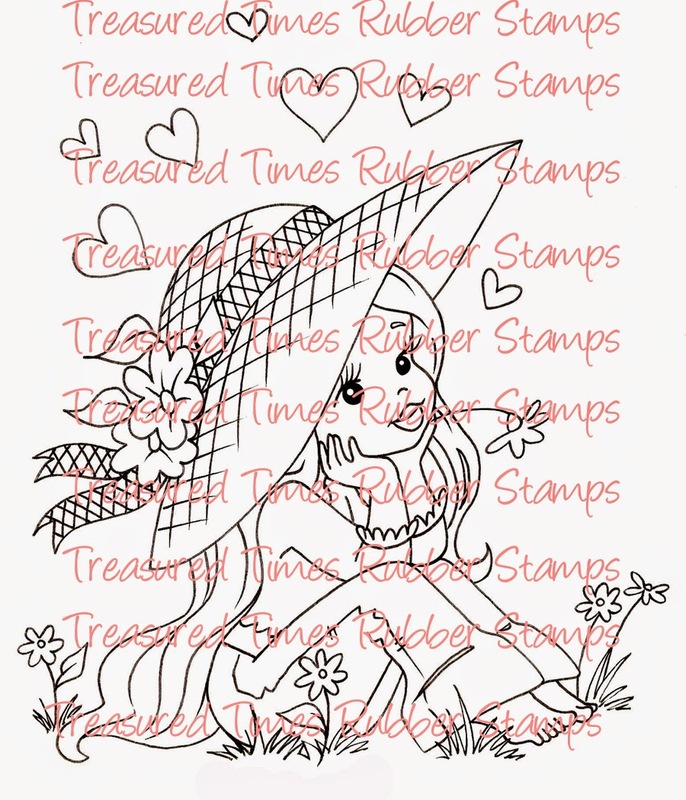 This stamp was such fun to color and you can find it available to purchase in The Paper Nest Store. I have used a shimmering piece of designer cardstock as the background of this card. It has the most beautiful glitter snowflakes on it so I wanted them to be a part of the design. I have added Joy Craft/ Noor! 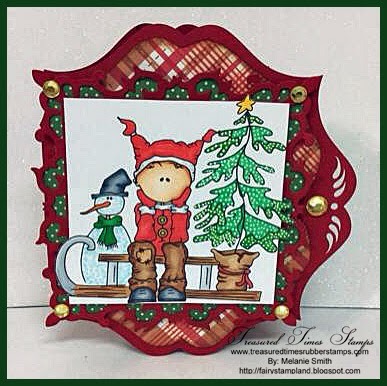 Snowflakes and I have to say these are the best dies on the market. They have just recently opened a USA website so these lovelies are available to us now without all the extra shipping costs of overseas shipping. I am completely in love with them. Thank you for stopping by today, Have a great day! I hope everyone is having an amazing day today. This week's challenge theme over at Open-Minded Crafting Fun so I decided to make a "Thank You" card. 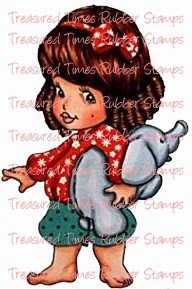 I've used a digital image named "Jolene" by the Stamping Chef. 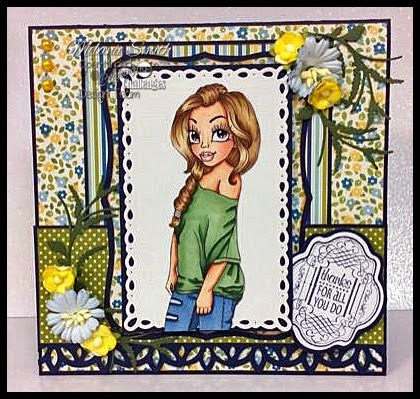 I have had fun with my layers in this card. 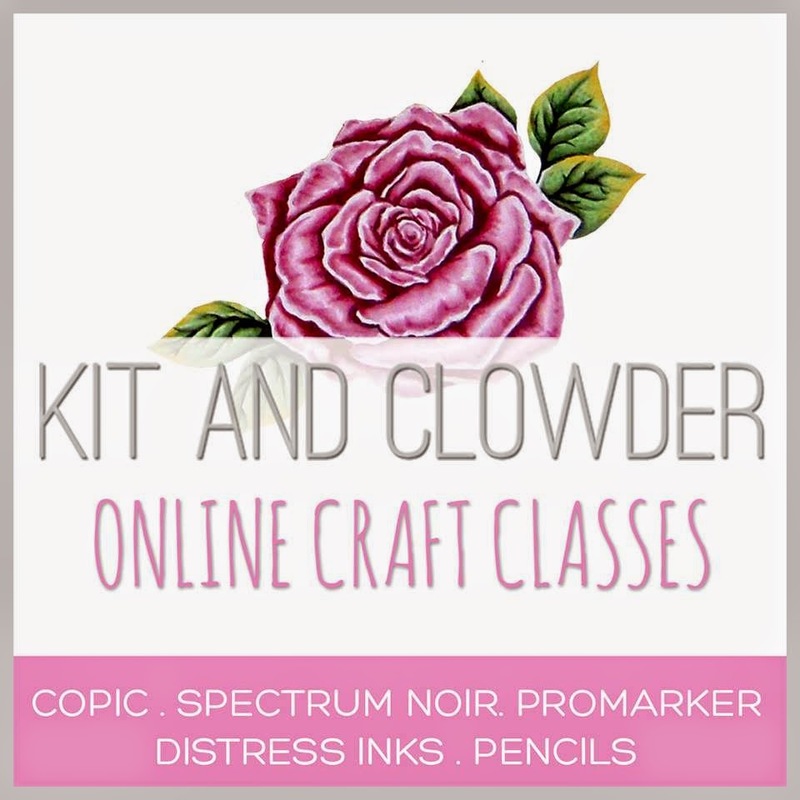 I have used a variety of items including Joy Craft/Noor! 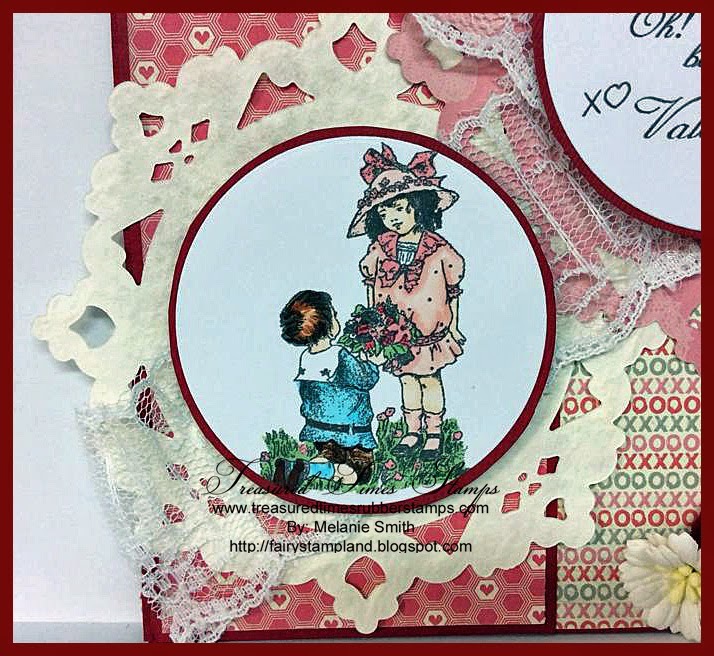 and Spellbinder Dies, Martha Stewart border punch, Whimsy sentiment stamp/die set, and lovely Wild Orchird Crafts flowers. Below is a close up of my coloring. I colored this one during my vacation back in September so I no longer have my list of Copic Colors.She was a joy to color though. Please make sure to stop by there shops this week and support their amazing stores! Thank you for stopping by today, I hope you have been inspired and that you have a wonderful CRAFTY week! I have a little something different to share with you today. 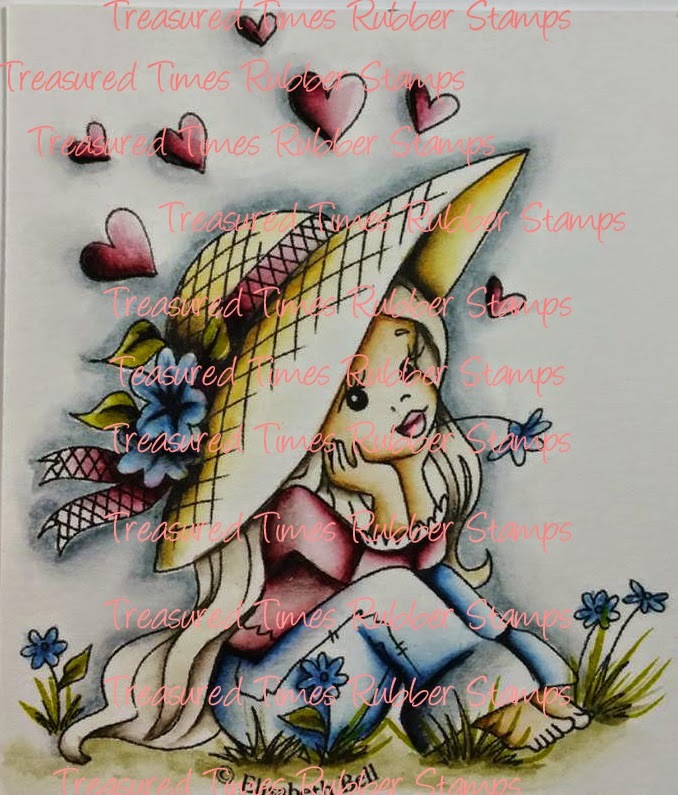 I have been collecting House-Mouse Stamps for quite sometime and I ran across a fun Blog Hop this week over at House Mouse and Friends Monday Challenge 182 so I decided to give it a go. I decided to go with a cute Christmas Card as the challenge theme is "Brr it is cold outside, with an optional anything goes". 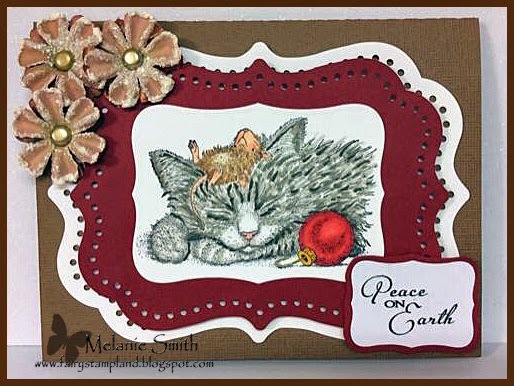 I did not have any outside winter stamps that showed snow or something cold so I thought Mr. House snuggling up with a kitty was as close as I could get. I've made this card for my mom for her Christmas Card. She loves her tabby kitty so I attempted to make him look like a tabby. The mouse is fast asleep and they are curled up inside staying warm wanting for Santa hopping to get some nibbles from the treats he is going to leave in the stockings. I have used my Silhouette Cameo to cute out this sweet card. 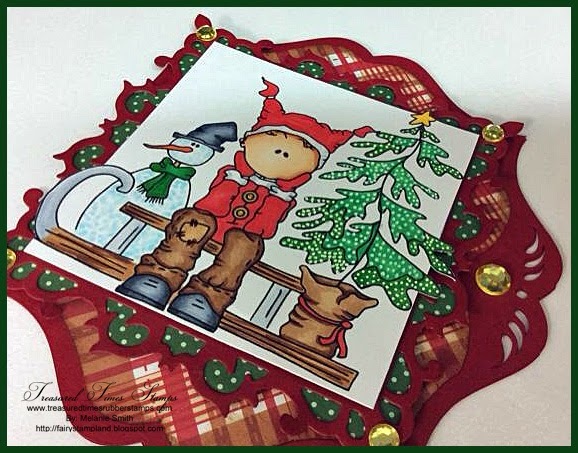 I Also used Copic Markers to color this adorable stamp with and chosen some Prima flowers and a sentiment from the stamp set From Treasured Times Rubber Stamps called "Vintage Santa & Sentiment Set" By Illustrator Vickie Duffill. This stamp set has so many wonderful images. 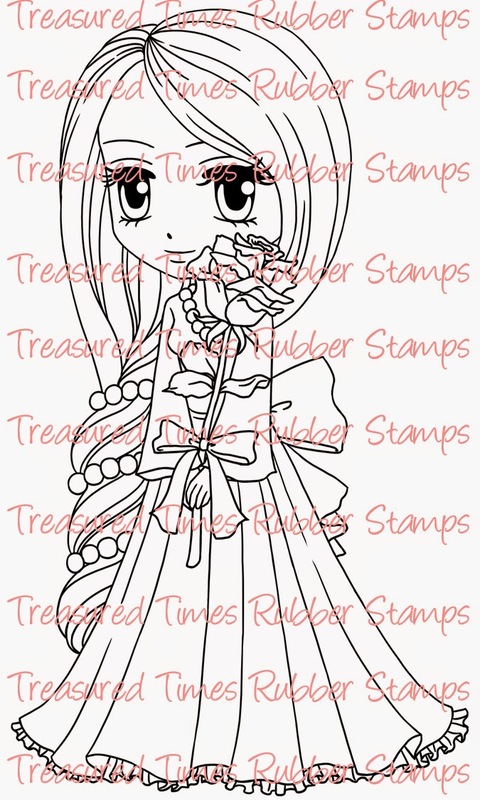 Here is the stamps you receive in this amazing sentimanet set. 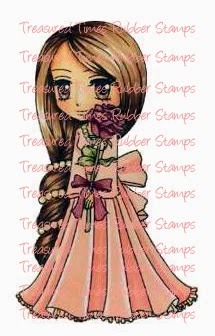 You can purchase it by going to the Treasured Times Stamps Shop. I am busting at the seams tonight with this project I am publishing. I feel like I have come full circle as an artist. I know my work will always be evolving, but this Noor! Designs U.K. Design Team Call really moved me. I loved the change of focus from focusing mostly on the image to focusing on showing off the actual dies. This was such a creative feeling. I was worried at first because I only own 3 Noor! Designs/Joy Craft Dies, but when I put a blank slate in front of me and focused on those 3 dies, magic began to happen! My thanks go out to the entire Noor! Designs Family for making such beautiful products for us to work with. 4 shaped pieces. From there I added the beautiful Noor! Designs "Butterfly Edge" using two layers to give a shadow effect. Here is a close up of the Noor! Designs "Butterfly Edge". I added pretty pearls to the butterflies. This is where the fun began. 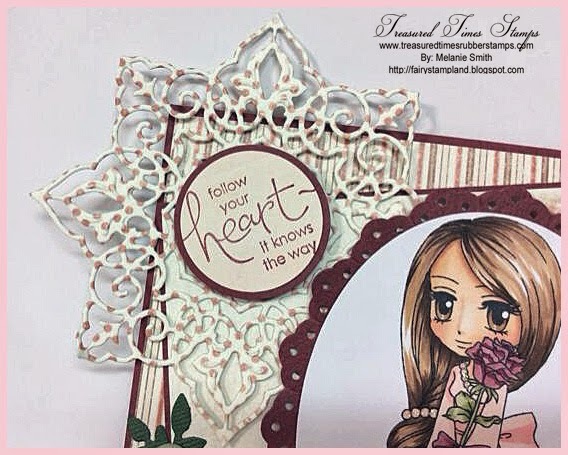 Utilizing the Noor!/Joy Craft French Lily Oval set I have used the frame to die cut my image and have used a background trace to add a frame behind that showcasing the beautiful lattice corners of the Lily Oval Die. This Die set also comes with matching vines and fleur de lis which I have also used to add even more interest. 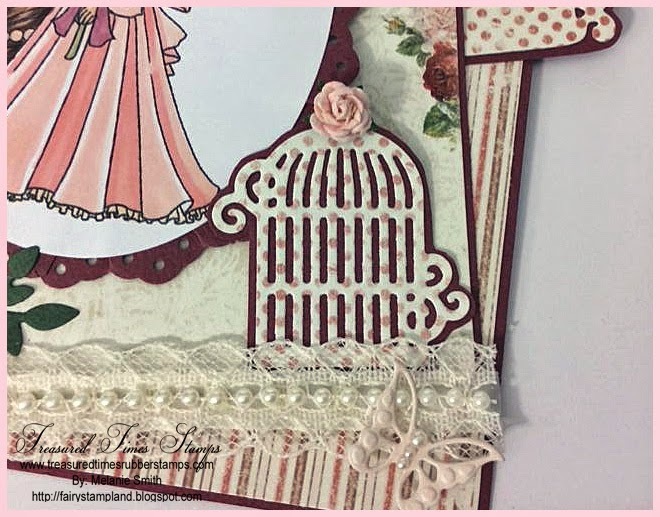 The background lattice behind the image in the corners is from the "Square Frame" Die from Noor!/ JoyCraft and I have both inked as well as fussy cut it to fit perfectly within my shaped card layers. Below are the actual pictures of these amazing dies. Now for the actual entry requirements for this Noor! Designs U.K. Design Team Call. I am 41 years old, married to my soul mate, and have 3 amazing children. Two of my children are in college out of state and one is a junior in high school. I am a stay at home mom and live to be crafty. My new year’s resolution for 2014 was to stay focused and learn all I could so I could eventually join design teams. I started my first team in April 2014 and have been learning and evolving as an artist every since. I am focused and driven to be the best I can be, and am always up for a challenge. I think that is why this design team call has been so rewarding. I feel like I have found myself with this card. Why should I be chosen for this position??? When I set my mind to something, the sky is the limit, but I am also very much a team player and love teams which support each other. I am very organized when it comes to posting to blogs and having my projects completed by the required date. I am a positive person who focuses on growth and love supporting everyone around me. If I was chosen for this team I would be honored to work with the current design team. what media sites you belong to??? YouTube channel. My 16 year old has one and I think I would love to share with other crafters the way they have shared with me. I have spent many hours learning from you tube as well as Kit & Clowder which I am a member of. I am currently signed up for the Hair & Skin class, Clothing Class, and numerous project classes. . I believe this completes my Design Team Entry, the only thing left is posting this post and adding myself to the Inlinkz information and the Noor! Designs DT Call Blog. Click HERE if you would like to also try out for this amazing team. Thank you Noor! Designs for such an rewarding opportunity.